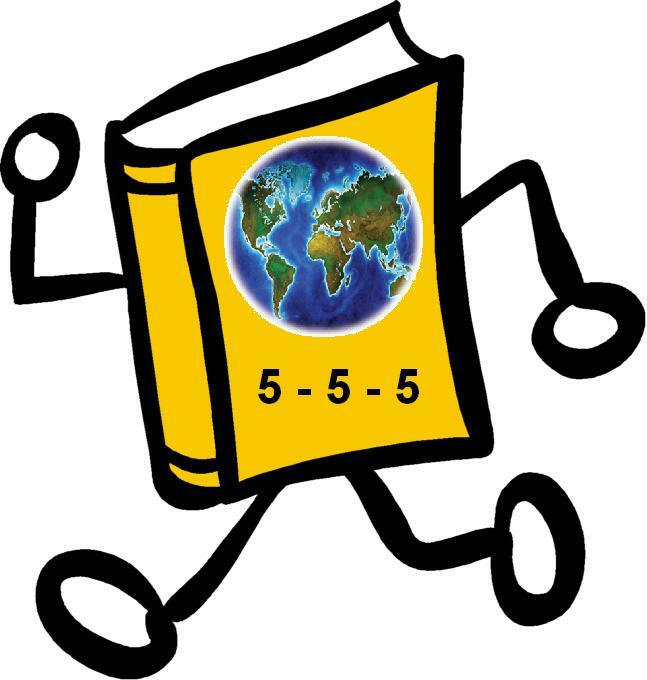 Will be a part of my 2006 Reading Challenge; 5 books, 5 countries, 5 continents. The book looks promising! "A joyride along the rocky road of island politics, love, corruption, religion, culture, dependency, and foreign aid. 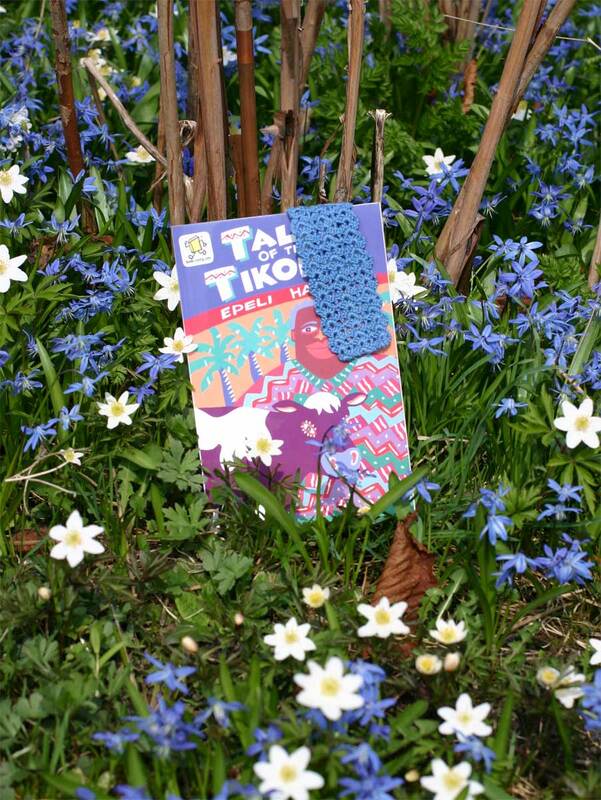 Tiko, a tiny island in the Pacific Ocean, faces a tidal wave of D-E-V-E-L-O-P-M-E-N-T, which threatens to demolish ancestral ways and the human spirit. From Sione, who prefers to play cards with his secretary during work hours, to Ole Pasisfikiwei, who masters the twists and turns of international funding games, all of the characters in these pages are seasoned surfers, capable of riding the biggest way to shore. These are not stories of fatal impact so much as upbeat tales of indigenous responses to cultural and economic imperialism. 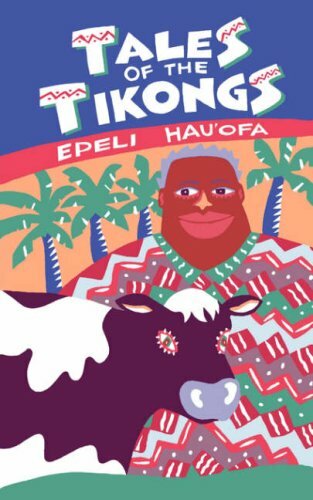 Epeli Hau'Ofa uses devices derived from oral storytelling to create a South Pacific voice that is lucid, hilarious, and compassionate in a work that has long been regarded as a milestone in Pacific literature." A great book that captures the lives of the inhabitants on this tiny island. To be recommended! Today the book was sent to the first person in the bookring; stormon. Enjoy it, and Happy Easter! Got this book by post. I will be back with a journal once I´ve read it. A wonderful book with short stories. Reading it has given me many good laughs! Thank you notnot for sharing!!! I will pass it on to Alvhyttan tomorrow. Got this book from stormon today. My garden color matched the book and notnot’s bookmark. A lot of crazy, funny and ironic stories! I thought they had a great life on the islands in the Pacific Ocean, but after reading this I’m not so sure…. Anyway I can see that there can be a lot of problems with religion and foreign aid. Thank you notnot for sharing this book! Sent to Panzeranzi May 15th. Received the book today and I'm looking forward to reading it! Thanks for sharing it with me! I like this book - it's hilarious at times, but also a bit sad. Colonisation isn't over and western society tries to change other cultures. I'll send the book to the next person in the list as soon as possible! The book arrived here today. I think I will read it during the weekend, as it's not to many pages! A good book, sometimes it made me smile and a lot of the time it gave me food for thought. Good the get another angel at things from time to time! I'm sending it to Susse, as Folde doesn't have time to read it until august! The book had arrived while I was on holiday. It was a nice surprise to return home to! I will put it on my bedside table and read it as soon as I can. This was a fast read and rather interesting. This is what happens when Western logic (?) meets the South Pacific lifestyle, I suppose. I had a good time reading it. I am counting this book as the book from Tonga in the "Read a book from every country in the world" challenge. EDIT 28.6.2006 The book is now on its way to Annelis! The book arrived yesterday. I try not to read other journals until afterwards, but I could not help noticing that this book can make people laugh. I'll read this soon, so I'll get my Tonga ticked on my Geographical Challenge, too. A few days ago I got a postcard from Tonga for sending some books there. 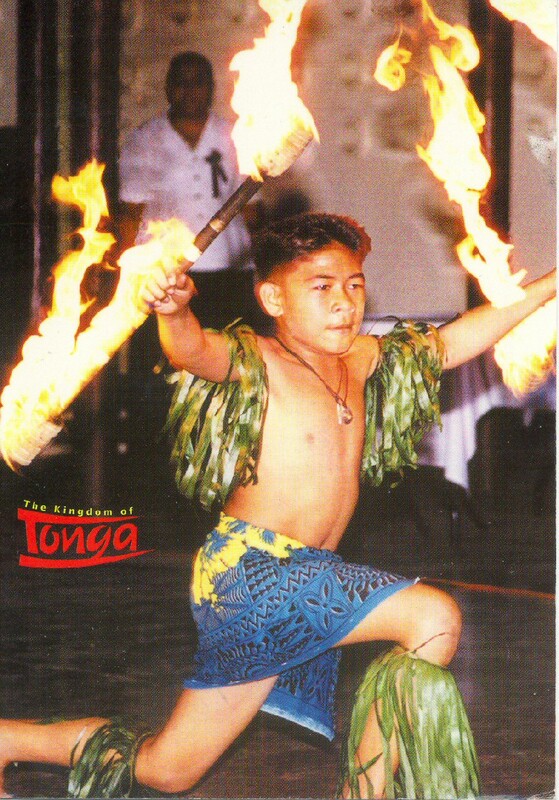 This is Fire Dancer Leonati Fakatawa in Nuku'alofa. This writer is really some Epeli. Epeli means in Finnish something like Quite a guy! He mentions the Peace Corps and it was just for a Peace Corps worker that I and many others sent books. She is teaching English to local children of the age 10 and as she asked some books for the children from her office they sent classics like Dickens, Shakespeare etc. So she asked Bookcrossers to help with books. The book makes you laugh and wonder about how it would feel to live on some islnd in the Pacific. I am sorry it has taken so long before I managed to make this journal entry. I am well underway reading the book, and expect to finish it in a day or two. I find the book enjoyable, but also find some of the stories quite depressing. But that is probably only because of a general bad mood. The book came home today; the ring is finalized. I'm glad you all appreciated the visit, and got to know the colorful characters of the book! Nå har boken turnert Sverige og Finland, så tiden er inne for å slippe den fri i Trondheim. Tar den med til BC-treffet i kveld. Got this book from notnot at the BC-meeting yesterday. Congrats on winning the Sweepstakes!! This arrived today, it's really nice to have a book with so much bc history, thanks Lesehest, I'm looking forward to reading it. This was very interesting - the sort of book I'd never have found without bookcrossing - like other journallers, I found it amusing, but ultimately a little depressing - with the tales of mismatch between funding ideals and reality. However who can know the end result in "Tiko where everything is simultaneously possible and impossible". Taking to the meet so will either be released somewhere in the forest, added to the shelves , or taken by another bookcrosser.